I worked on scripts and video in the newsroom. At 2:00 a.m., I look at the time on the app running my show rundown and wire services. It flashed 3:00 a.m. I look at my Droid X for another time check. 3:00 a.m. Damn you Daylight Savings. Damn you. I knew you were coming. I can’t stop you. I despise you when you sneak up on me in the newsroom. And I can’t forgive you for stealing an hour from my show prep time. Outside of the newsroom, we spent a lazy Monday afternoon in Sonoma. Vacaville spoiled us with our 30 minute drive to wine country. We used to go every other weekend. Now we live about 90 minutes away from all those lovely wineries and vineyards. We found Viansa Winery on our way to downtown Sonoma. It’s a beautiful winery on a hill. 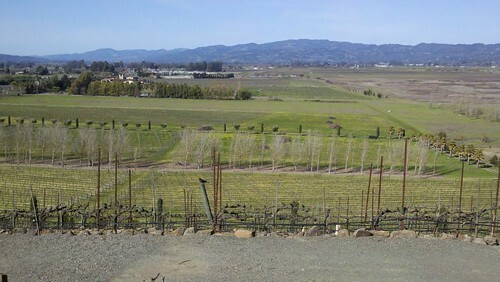 The tasting room has a balcony with this amazing view of the vineyard. 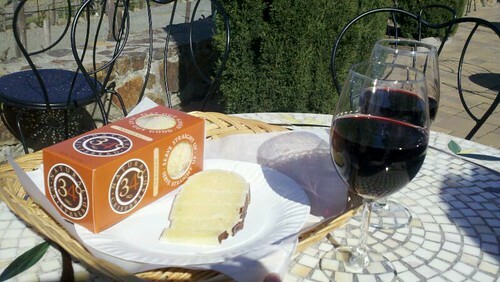 We sat on the balcony nibbling Vella Cheese Company’s Dry Jack Cheese. We paired it with a dry, fruit-forward 2009 Cabernet Franc. If it wasn’t so windy, we may have spent the afternoon with a bottle on the balcony. 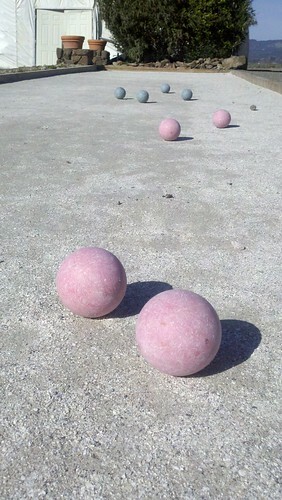 We moved over to the bocce court and played a few games. We learned how to play the game with our Oakland friends. It’s an easy game for people who don’t want to put down their beer bottles or wine glasses. The goal: to get your colored ball as close to the marker as possible. So, what do you do on your weekends? As a woman of leisure, I spent a lot of time challenging myself in the kitchen. I enjoyed cooking dinner and catching up with my hubby over a hot meal. 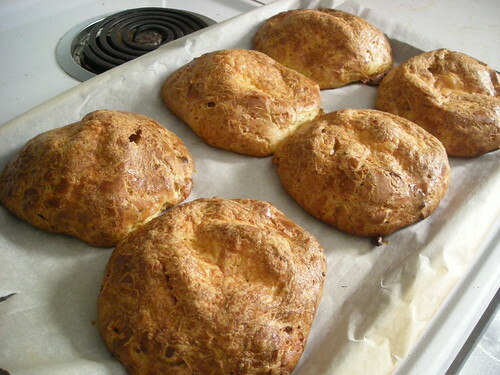 I got over my hesitation/fear over baking and produced some tasty cheddar gougeres. I bonded with my hubby over rolling pizza dough and cutting up pasta noodles. On dry days, we fired up the grill for fresh fish and sausages. All the culinary activity, from chopping vegetables to studying recipes, helped me cope with being out of work. 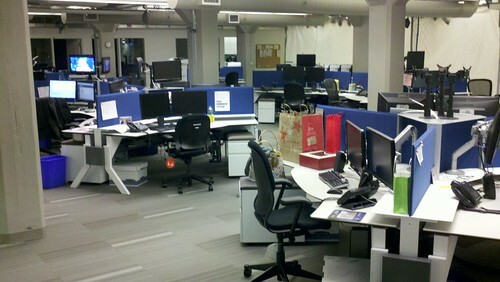 By the time Mardi Gras rolled around, I had left behind my life of leisure and dived into another Sacramento newsroom. I said good-bye to my lazy mornings and weekday runs with the puppy. I agreed to cover early morning shows until the station hired another line producer. On the eve of Ash Wednesday, I was counting down the days until I could switch to a better shift and a fresh new gig as a web producer at the station. As my professional life was shaping up, I decided to build up my spiritual life with another Lenten Season without meat. My challenge: to cook, prepare and order meals without beef and chicken. I still worked with dairy products, eggs and seafood. I made it through Lent with more food for thought and some tasty meals of vegetables, tofu and fish. Thanks to my veggie/seafood lifestyle, I also tried out different restaurants in our favorite cities. 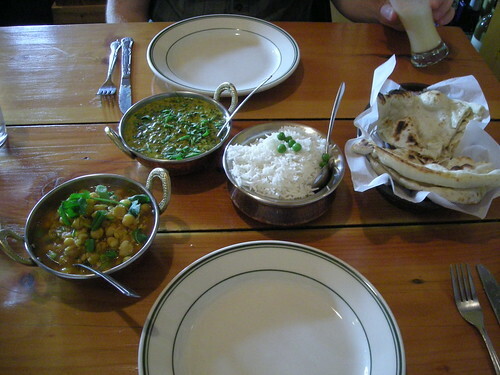 One weekend we did dinner at Taste of the Himalayas in downtown Sonoma. 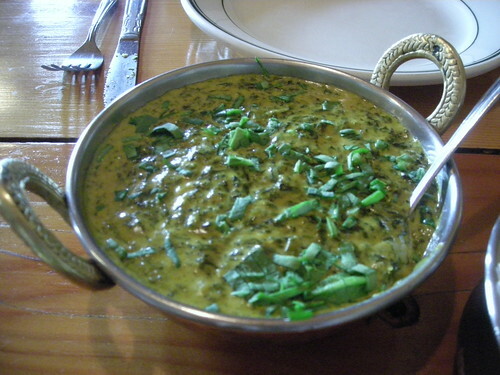 This small Himalayan/Nepalese food spot served up hearty entrees like Palak Paneer, a bowl of creamy spinach and cheese. I loved spooning velvety chunks of vegetables over white rice. 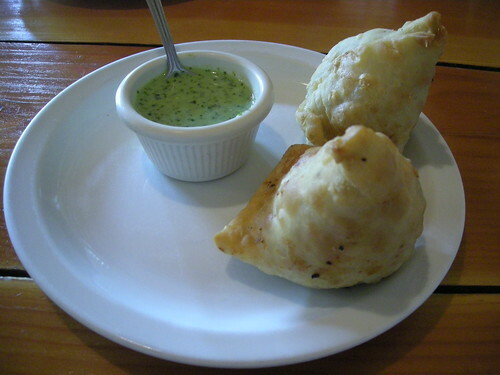 In fact, the menu had plenty of options for people who are watching out for meat in their diets; from the Samosas with the mint chutney sauce to Chana Masala. When you add rice and hot Naan to the table, you have a rich, spicy feast that will soak up what’s left of your wine-tasting adventures. I can’t wait to come back to try out the carnivore options on the menu! I’m trying to keep track of all the amazing food we sampled over the past few months. So far, I have tweeted several gourmet experiences. 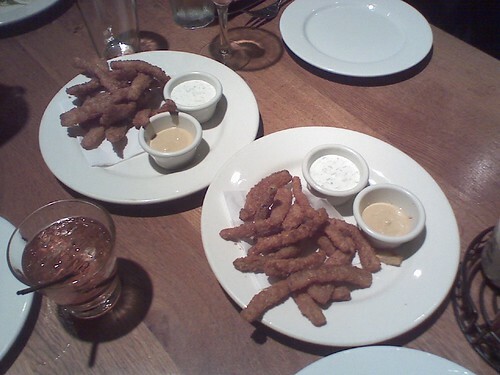 Now – I’ll try to sum up some of those dining adventures, beyond 140 characters. We did a Thanksgiving Lunch at the Bistro in downtown Sonoma. I needed a relaxing afternoon after spending 10-plus hours in the newsroom. This Charcuterie plate had a lovely mix of foie gras, pork tartine and sausage. I loved spreading the rich foie on white bread. We continue to head east for comfort food in Davis. I enjoy the handmade noodles from the Noodle House. 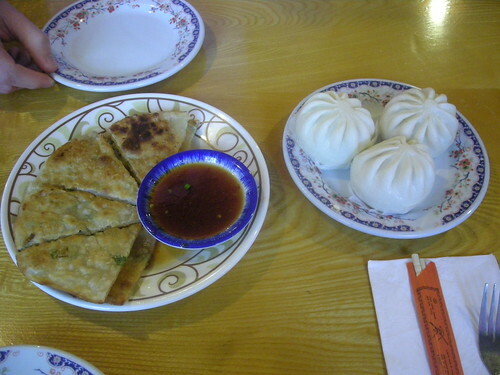 I always order these dim sum plates as appetizers: pork BBQ buns and onion pancakes. These hearty flavors fill me up on a chilly autumn day or soothe my stomach after a night of drinking. In Berkeley, we celebrated Scott’s birthday at T-Rex BBQ. I had to try the chicken-fried bacon. Crazy! A bit chewy and I managed to sample some hints of bacon goodness in this hor d’oeuvre. I enjoyed introducing our Bay Area Buddies to the sights, sounds and flavors of Second Saturday in Sacramento. 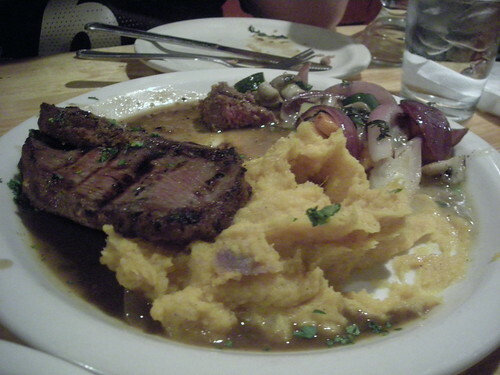 Everyone was quite pleased with this plate of Spanish Tri-tip and garlic mashed potatoes from Tapa The World. 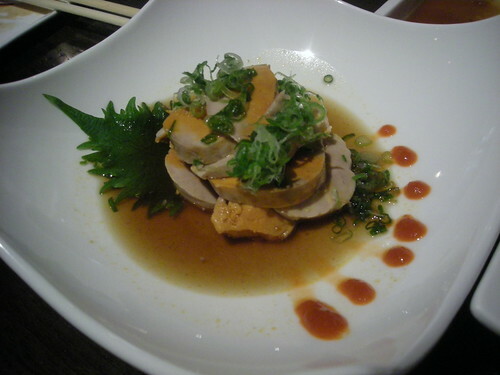 Earlier this month, Susan and Tom introduced us to an amazing spot for sushi in the Mission: The Sushi Bistro. The bistro has a huge selection of sushi – from butterfish sashimi to some more playful sushi rolls with unagi. This monkfish pate melted in my mouth. Also in the Mission, Susan also hosted a Halloween Feast. We had fun shaping the meatloaf into a scary hand and shaping the fingernails from onion slices. I also loved Mark’s Halloween costume. Brilliant – from the badge to the sunglasses. Next year, I hope I have some flash of inspiration for a costume. Maybe. 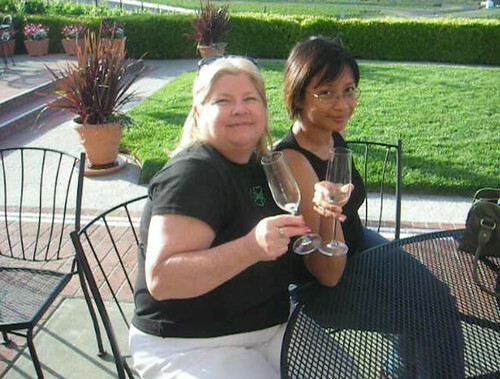 Last week, we enjoyed a very happy hour in the Carneros Valley of Sonoma County. We introduced my mother-in-law to Domaine Carneros Winery. As a matter of fact, it’s our first visit to this beautiful location. So – Cheers! 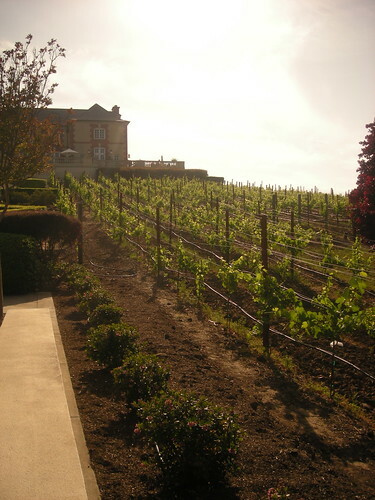 On our trips to downtown Sonoma, we always drive by this gorgeous Chateaux off Highway 12. Last week, the rush hour commute left us sitting in bumper-to-bumper traffic on the highway. So we decided to take a tasty detour to Domaine Caneros. My hubby helped me shoot this review of our red wine flight. We used my Nikon Coolpix L12 camera. Domaine Caneros from Kris Vera-Phillips on Vimeo. And my mother-in-law had a blast in Sonoma County. After the winery, we chilled at our favorite Irish Pub in downtown Sonoma, Murphy. Don’t forget – please vote for your favorite Murphy-Goode video now! The deadline’s June 19. In case you don’t know, I love wine. I love how it tastes, smells and feels. I also love the wine culture – from the vineyards to the barrels. Today, we’re heading to Lodi for Zinfest. It’s an incredible wine tasting experience by Lodi Lake. This is one of the reasons why I think I’d be perfect for the Murphy-Goode Wine Country Lifestyle Correspondent position. We did the Wine and Chocolate Festival last month in Lodi. This is becoming a tasty Valentine’s Day tradition! We stumbled on some new wines, art and of course, yummy bites of food. 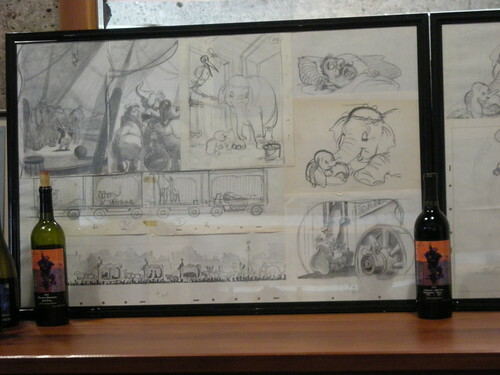 At the Vino Piazza, the wine server let me go behind the wine bar to get a closer look at these sketches from Dumbo. He said the animator was a big fan of Lodi wines. This is a look at the drive into Lodi’s Wine Country on Highway 12. Valentine’s Day in Wine Country from Kris Vera-Phillips on Vimeo. Everyone looked like they were having a good time at the different wineries. Still, the national recession was also on the minds of winemakers in the area. They say the economic slowdown was hitting Lodi’s wine industry. Some winemakers talked about consolidating operations in order to stay in the black. Others talked about trying to raise the profile of their wines without cutting into their bottom lines. That makes this Wine and Chocolate Festival critical for wine businesses in the region. Sure, they’re giving away free tastings. However, it’s a chance to make a great impression on new and old vino fans. It prompts them to buy local bottles and to spread the word about their favorite wineries. We managed to fit in another wine country visit on Valentine’s Day. 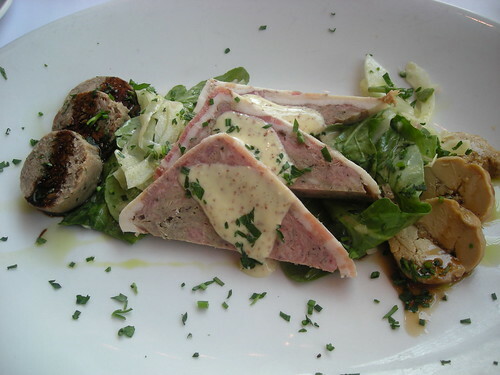 We did the St. Valentine’s Prix Fixe Dinner at the Girl & Fig in downtown Sonoma. It’s a cozy spot for French food. I loved the fresh flavors and the wine pairings with each entrée.